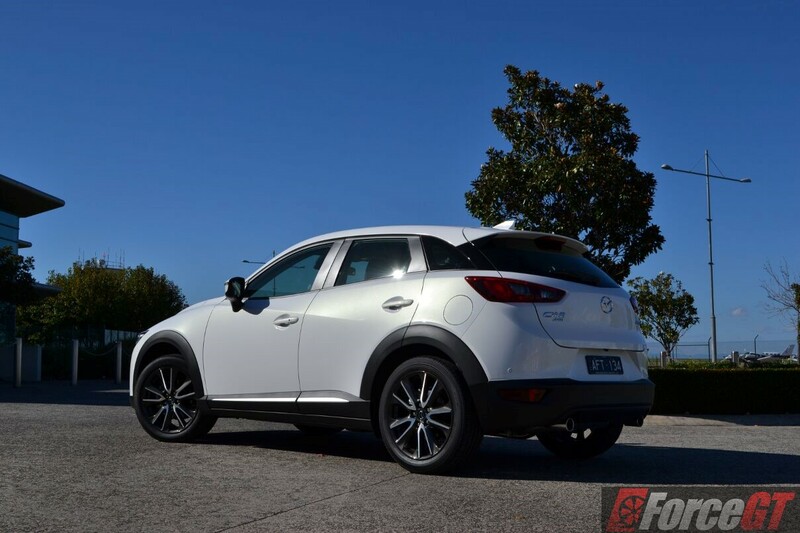 Who says a small entry-level SUV can’t be exciting? 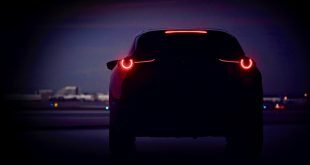 This is the all-new Mazda CX-3, the company’s first ever offering in the highly competitive and increasingly popular segment. 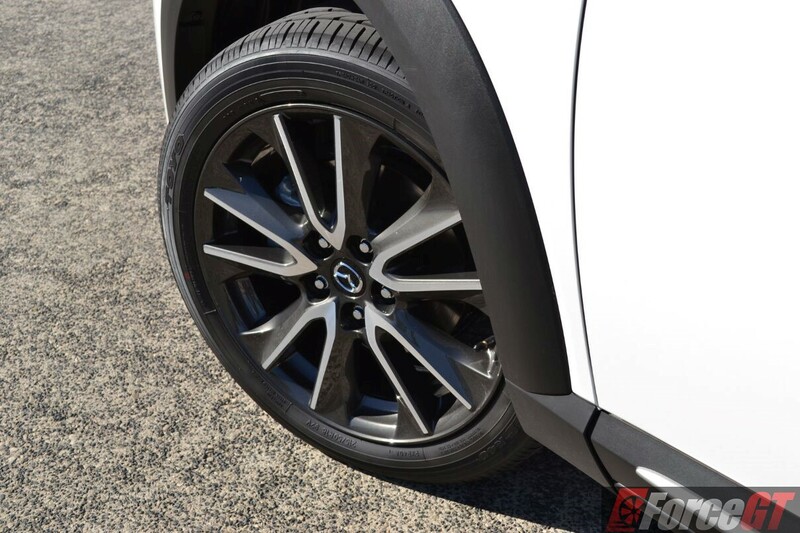 And it auspiciously shows the rest in the class how a B-segment-based crossover body can still be the perfect canvas for a sporty, chic and stylish urban SUV. 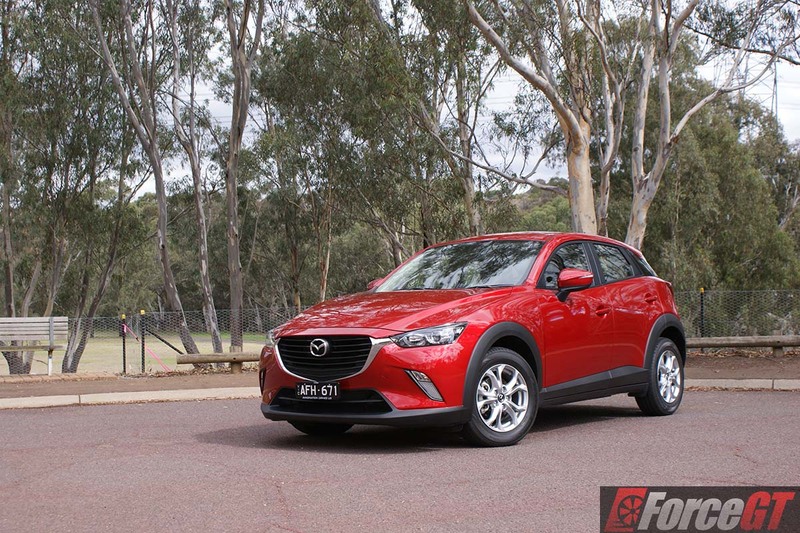 Rivalling the equally popular Honda HR-V, the flamboyant Nissan Juke and the upcoming Toyota C-HR, the CX-3, according to Mazda, will fill a gap in a market searching for a small SUV with a broader range of grades and a greater choice of features. 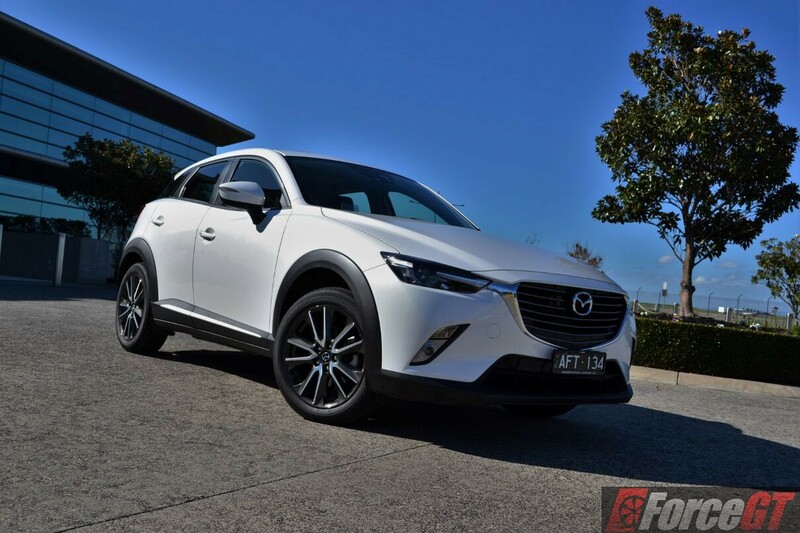 Indeed, the CX-3 is available in 17 variants, with four grade levels, Neo, Maxx, sTouring, and Akari, and the option of front-wheel or all-wheel drive, manual or automatic transmission and petrol or diesel powertrain. 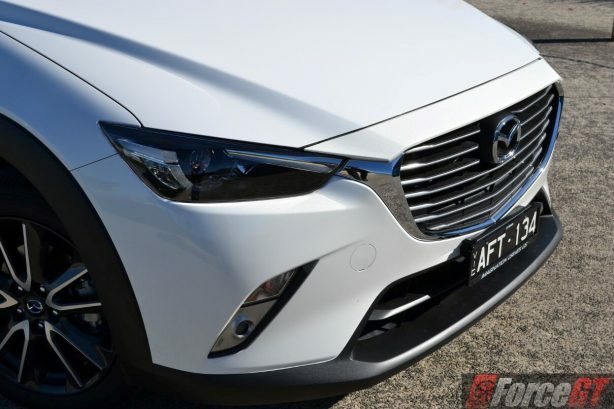 Pricing for the line-up ranges from the $19,990 plus on-road costs 2.0L Petrol FWD Neo manual – a sharper price than any of its key rivals – to the top flight 1.5L Diesel AWD Akari automatic at $37,690 (plus ORCs). 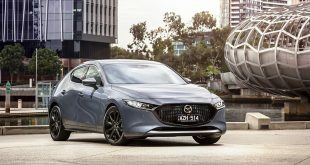 First appeared at the 2014 Los Angeles Motor Show, the Mazda2-based SUV is the latest interpretation of the brand’s highly acclaimed ‘KODO – Soul of Motion’ design language. With an overall length of 4,275mm and 2,570mm wheelbase, the CX-3 boasts a bold trapezoidal front grille that extends to the headlights, flowing lines, sharp creases, and a ‘floating’ roof, all harmoniously fused in perfect proportions from every angle. 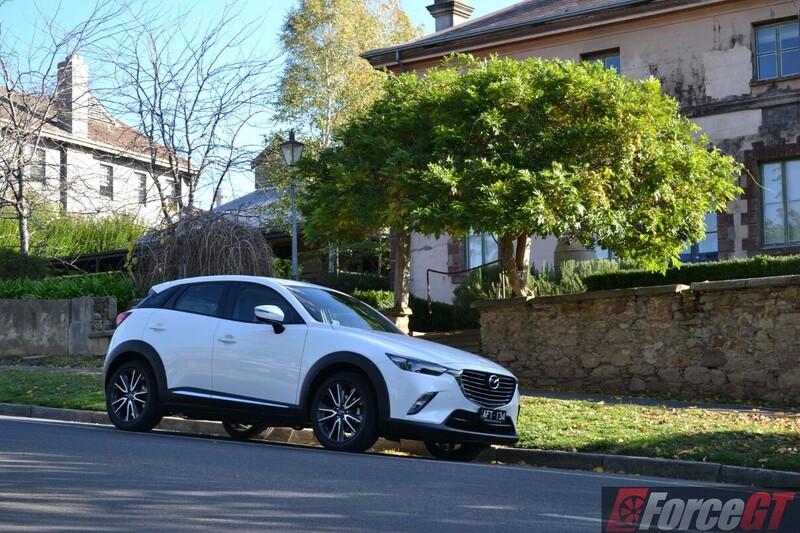 It’s the first small SUV we have sampled that managed to grab considerable amount of street attention, and spark the sort of “I want one” reactions from young people looking to buy their first car, during our week-long test. The stylish design continues onto an interior that is both modern and functional. Based on the Mazda2, the dashboard layout is cohesive and low slung, lending to a sporty and airy feel. 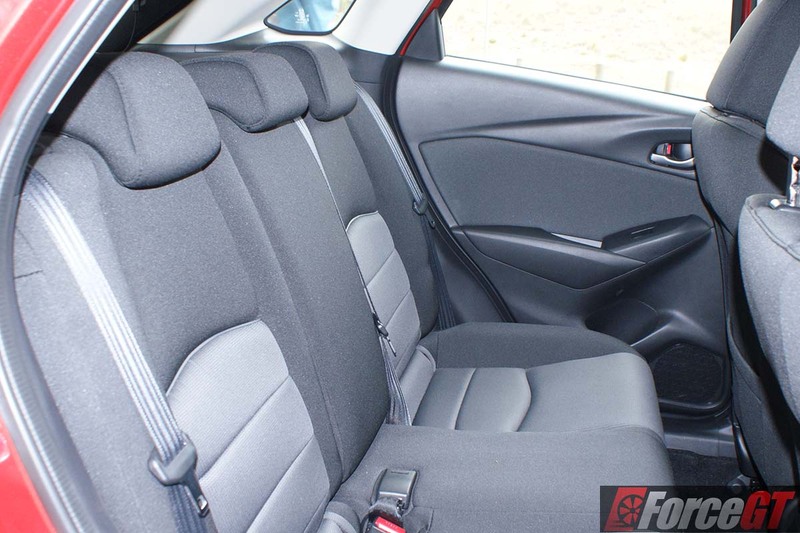 The elevated driving position is almost spot on, with good visibility all-round. 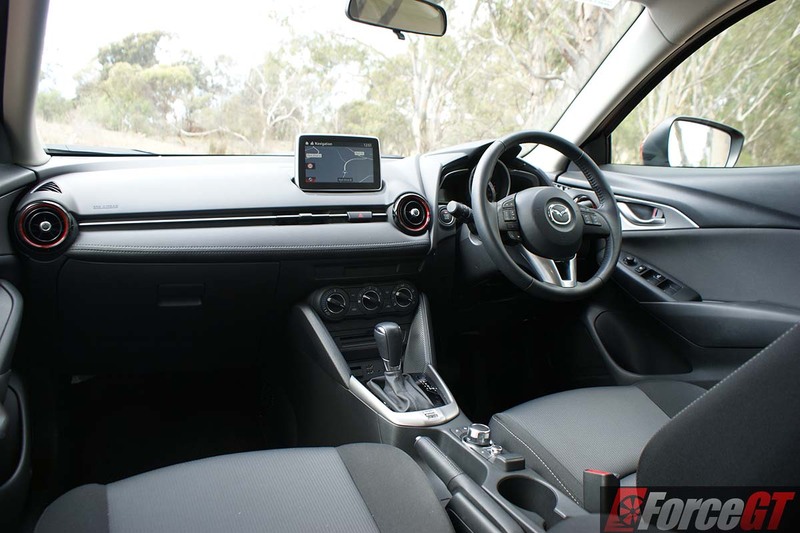 The seven-inch touchscreen infotainment display protrudes from the centre of the dash and dispenses various functions in crisp and modern graphics. There’s no complaint on front row seating, but the second row is much suited to just two adults, not three. 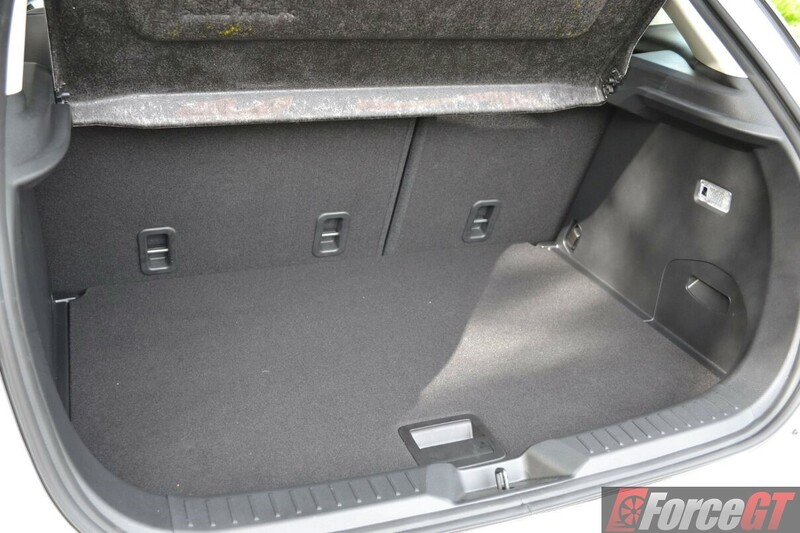 Rear legroom and headroom are also not the best in class, as is rear cargo space, which stands at just 264 litres. 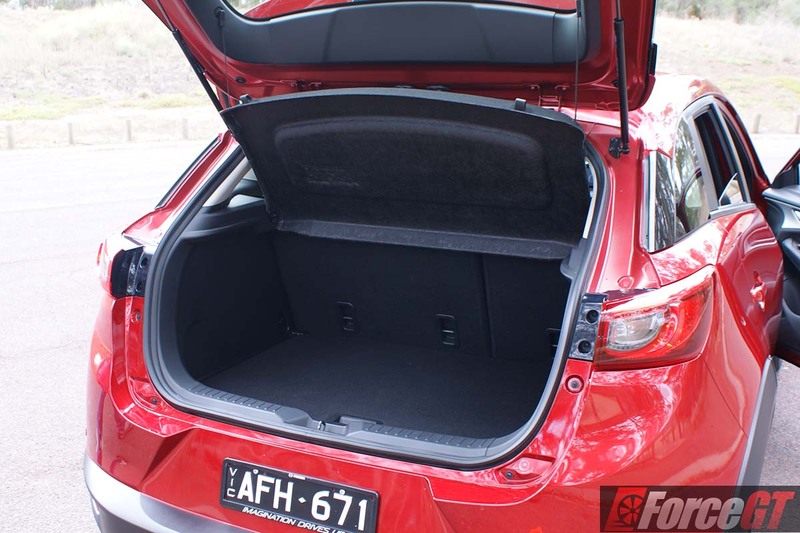 It can, however, expand to 1,174 litres by folding the 60:40 split rear seats. 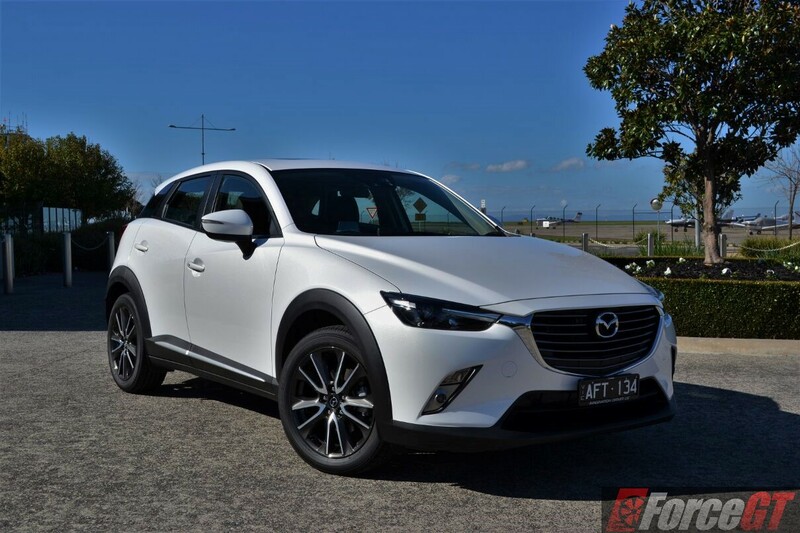 In Australia, the CX-3 is available in two four-cylinder engine specifications including the 109kW/192Nm 2.0-litre SKYACTIV-G petrol and the new 77kW/270Nm 1.5-litre SKYACTIV-D turbo diesel, mated to a 6-speed automatic or 6-speed manual transmission. 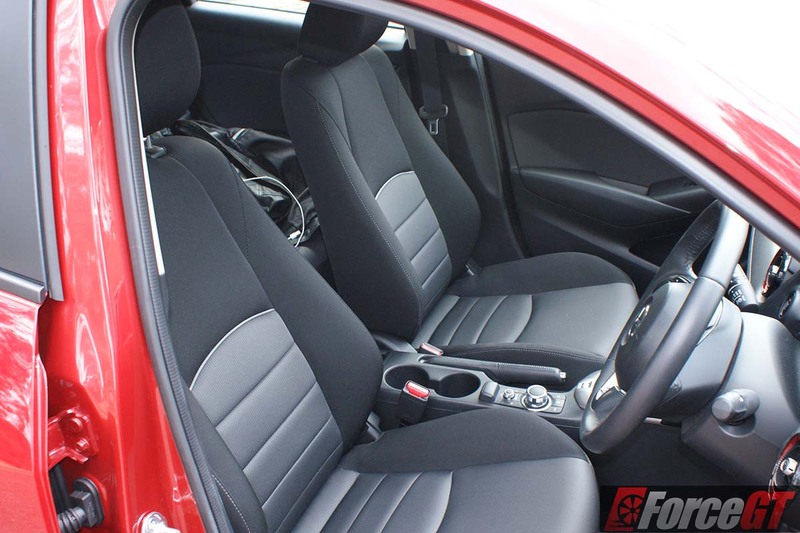 Both petrol and diesel variants are available in front-wheel drive (FWD) or all-wheel Drive (AWD) format. 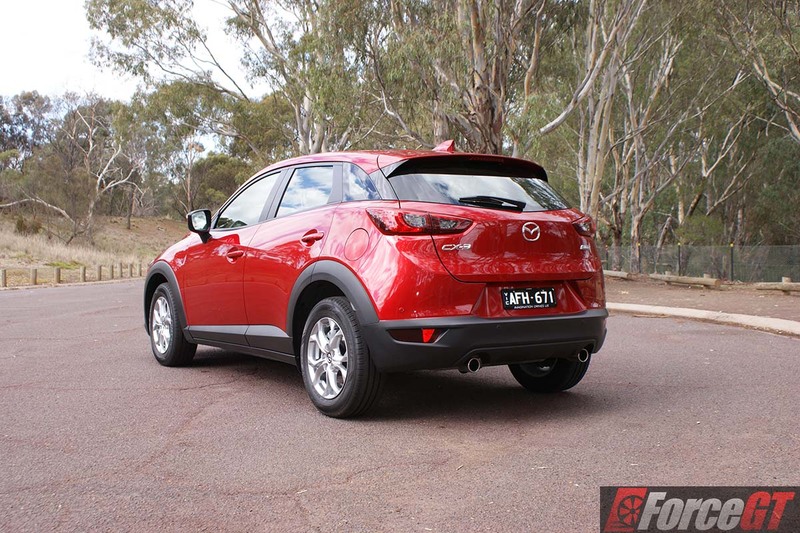 We were supplied the petrol version in both FWD and AWD automatic variants for this review. While a normally aspirated engine is hardly trend-setting nowadays, the 2.0L petrol does a decent job in hauling the 1.3 tonne (1.2 tonne for FWD models) crossover around town. 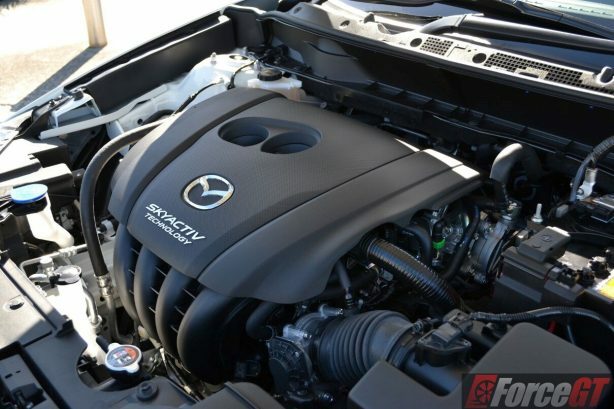 It’s a willing and responsive engine with a smooth power delivery across the rev range, though at times you may find the need to work the mill hard at inclines or overtaking and it can get fairly loud at higher revs. 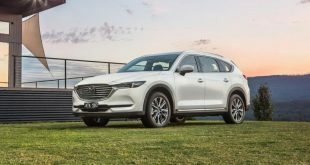 The diesel version will undoubtedly offer a stronger pull and more suited to country driving as maximum torque is available from just 1,600rpm. 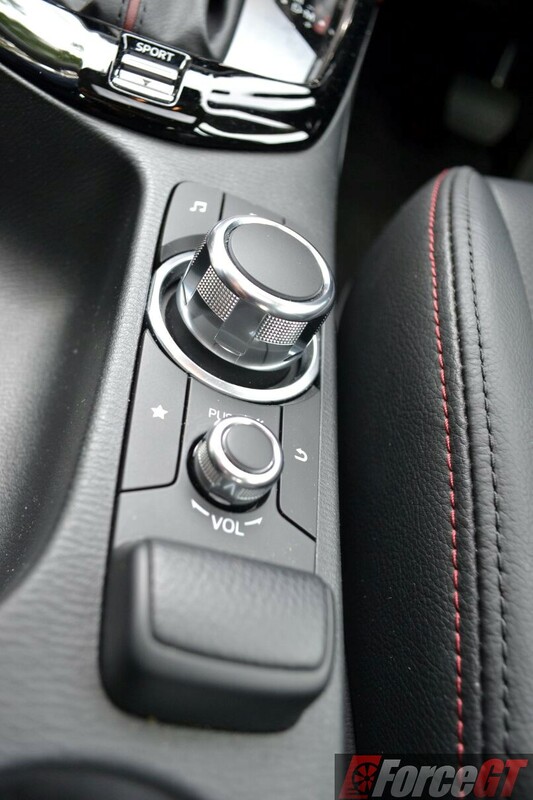 The smooth-shifting six-speed automatic transmission matches well with the petrol engine and picks the right gear on all occasions. 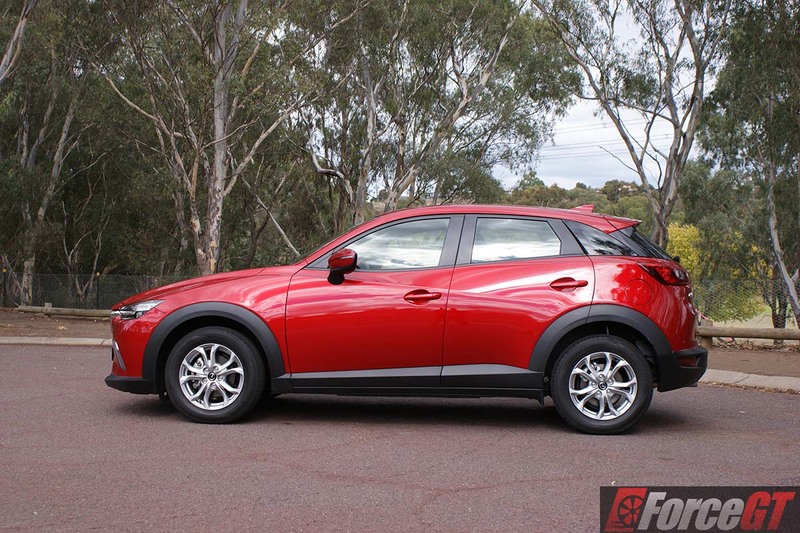 On the go the CX-3 is remarkably sure-footed and fun to drive. 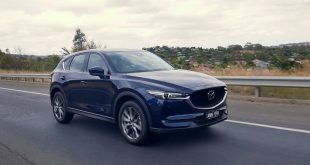 Despite the raised ride height, the little Mazda SUV serves up almost hot-hatch like dynamics around the bends with an engaging chassis and excellent body control. There’s also plenty of grip; the on-demand AWD version gives even better traction in the wet and on the gravel. 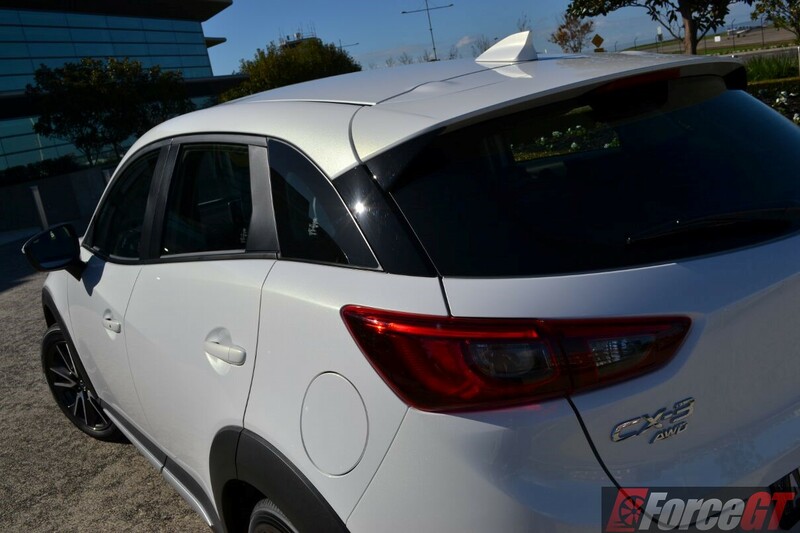 The adequately weighted steering is crisp and the brakes are nicely progressive. 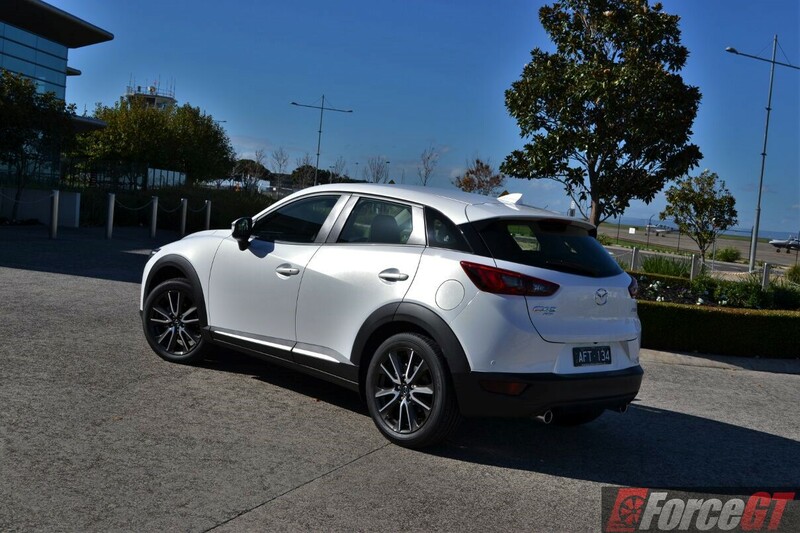 And it all makes up for a taut and sporty drive that is very un-SUV like. The compromise, however, is a firmer than desired ride on less smooth surfaces, though it’s not uncomfortable. There’s also a tad too much road and wind noise, especially on coarse surfaces. 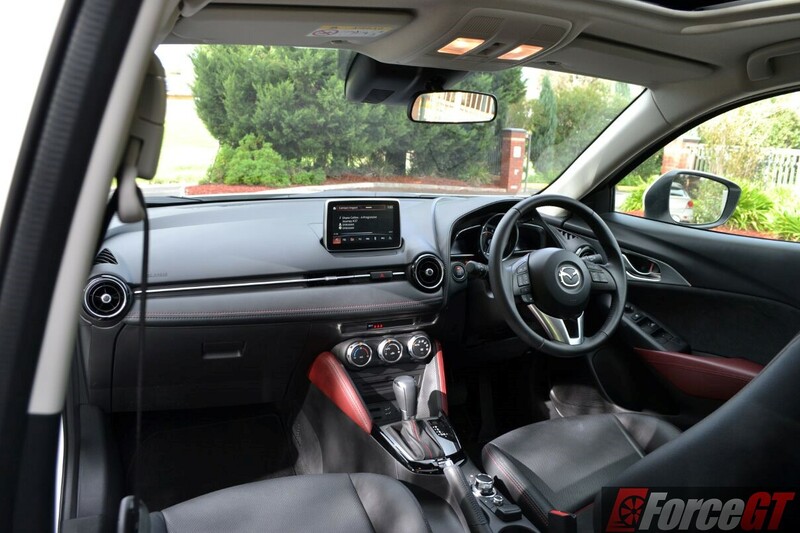 The CX-3 impresses with a premium-look interior that is very well built. 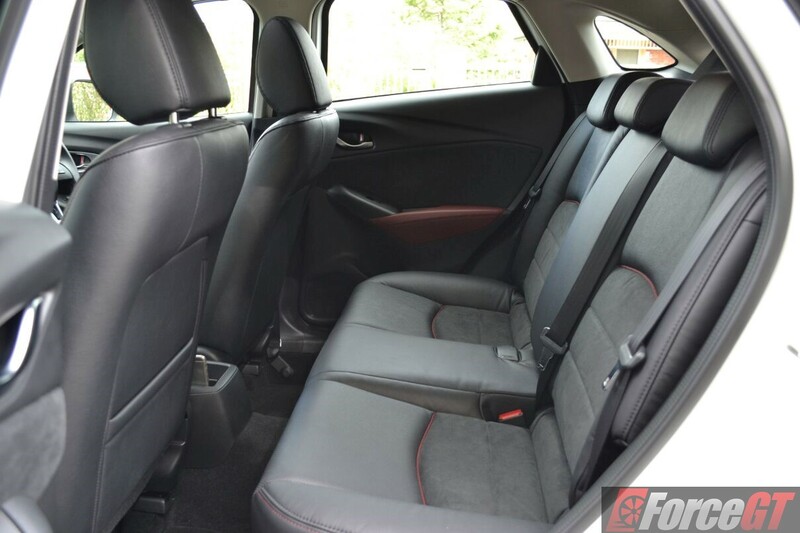 Cabin materials are first rate, so is the stitching on the dashboard and the expensive look of the instrumentation panel, giving the entire presentation, especially in the upper grade models, a properly upmarket feel. 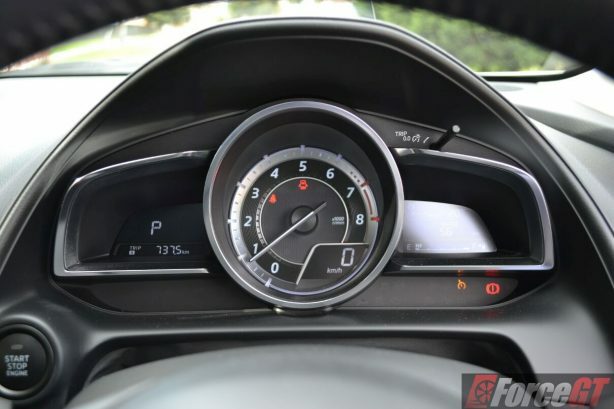 The rotary dial for operating the infotainment touchscreen (Maxx and up) is also something usually only found in cars costing much more, although its position just in front of the armrest means it’s not within easy reach. Elsewhere, all panels are properly aligned, while the doors close with a reassuring thud, giving you a sense of quality. Fuel consumption is not far off the mark, with the 1.5 litre diesel FWD automatic rated at 4.8L/100km on the average cycle, and the 2.0 litre petrol FWD alternative claimed to sip as little as 6.1L/100km. 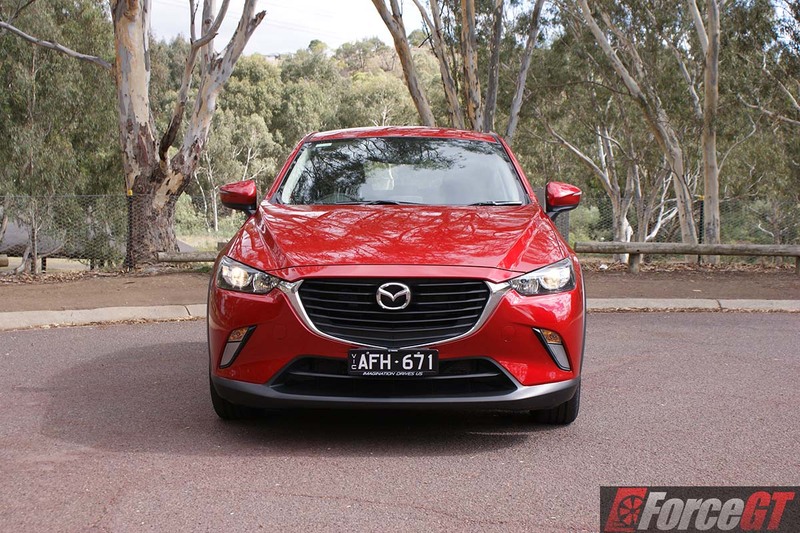 At the end of our evaluation period covering close to 800km of varying roads, the 2.0-litre petrol FWD returned an average of 8.0L/100km while the AWD version recorded 7.5L/100km, not class leading but still decent and not much thirstier than a small hatchback. Equipment levels are generous across the range. 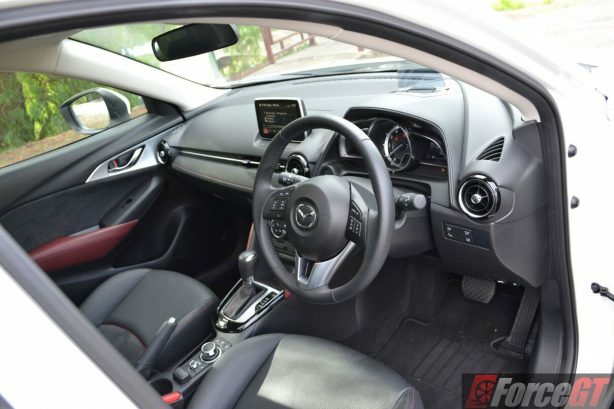 Cruise control, parking sensors, keyless push-button start, hill start assist and Bluetooth connectivity are all covered in the entire line-up. 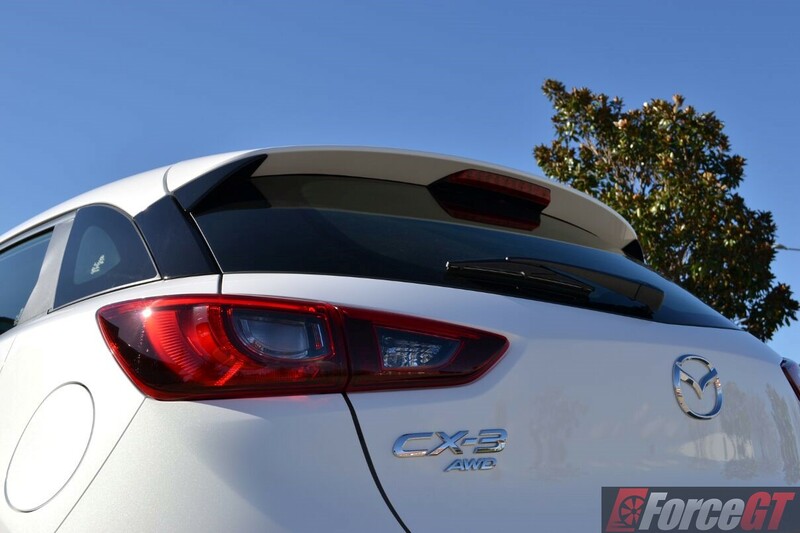 If you’re not fussed with aesthetic enhancements, CX-3 Maxx is the sweet spot between value and standard features. 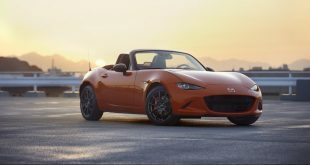 It comes fitted with 16-inch alloys, leather-wrapped steering wheel, handbrake and gear knob, a seven-inch touch screen operated by a centrally located rotary dial, satellite navigation and reversing camera. Moving up, sTouring gets you larger 18-inch wheels, full LED exterior lights, climate control, auto wipers, keyless entry and head-up display. At the top of the range, the Akari variant comes comprehensively decked out with a sunroof, leather upholstery and a full suite of safety features including Blind Spot Monitoring (BSM), Rear Cross Traffic Alert (RCTA), Smart City Brake Support (SCBS) and automatic high beam. 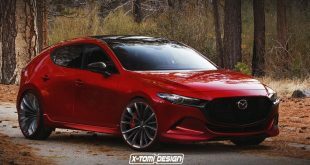 However, the range lacks digital radio and Apple Carplay / Android Auto, features that are becoming increasingly common in small cars. 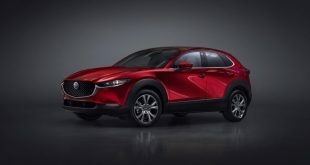 If Mazda is aiming the CX-3 at younger buyers who want stylish design inside and out, a sporty drive and the latest in connectivity and technology, then they have succeeded, big time. However, there’s room for improvement in cabin noise suppression and its compromised practicality isn’t quite family-friendly.